The Lake of the Ozarks is growing in 2016 - with plenty of economic development activities underway. 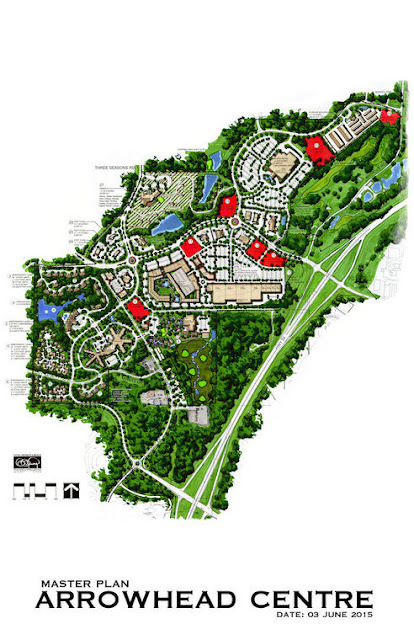 Most notable is the $385 million Arrowhead Centre redevelopment plan, which broke ground on December 4, 2015 at the former site of Dogwood Hills Golf Resort on Route KK. The development will feature 200-400 living unites, which will include independent and assisted senior living, an apartment complex, a skilled nursing facility and restaurants, a hotel, retail and office space. This is the largest landmass development ever in Osage Beach!